He’s been ignored and cast aside much like new home hunters touring a property covered in wallpaper. Scholars have left him out of the history books and Hollywood couldn’t be bothered to acknowledge his existence either. 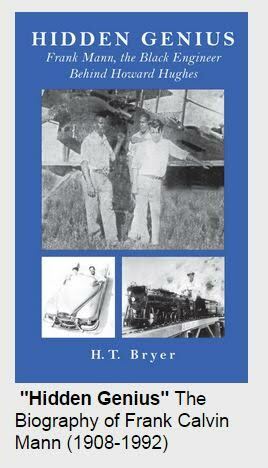 He was Howard Hughes’ top engineer and lifelong best friend. This is about Frank Mann, the hidden genius behind much of Howard Hughes’ success in the world of aviation and mechanics. Also, he was Black. Yet, Howard believed in Frank more than any of his White engineers. Mr. Hughes knew that Frank was naturally gifted in mechanics to a higher degree than most, therefore he stood by his side through thick and thin. Even when the White engineers refused to work with him because of the color of his skin, Howard would correct them and make certain that they referred to his friend as “mister” or “sir” and not by any derogatory terms. Not only did the White engineers feel inadequate in comparison to Frank’s ability, but an overall sense of jealousy was prominent in the air as well, seeing that Howard always took a distinct liking to Frank. For the rest of his life, he would trust Frank to troubleshoot his aviation and mechanical issues. Later in life, Frank would meet a young man named Paul Bryer, whom he mentored and took under his wing. Stories and wisdom would be shared with Paul, all the while attending clubs and parties together on the occasion. It was almost as if Paul kept Frank youthful to an extent and Frank kept Paul full of life. Though generations apart in age, they became good friends, spending a decent amount of time in one another’s company. Paul knew that his friend Frank was a special individual and made it one of his life’s duties to tell Frank’s story, with his permission. I spoke with Harry Bryer, historian, and writer who authored the book about Frank’s life, “Hidden Genius” (link below). His brother was also Frank’s aforementioned close friend and confidant later in life, Paul Bryer. DC Life Magazine: What was your relation to Frank Mann and how did this book come to be? Harry Bryer: My brother Paul had a chance meeting with Frank and was given a “history” lesson by him which was essentially Frank showing off his awards, achievements, and pictures of him and Howard Hughes. Paul couldn’t believe that he was seeing credits for designing cars for General Motors (he had received royalties for designing the LeSabre and the first Corvette) and separate cars for movie stars. On some occasions, Frank would even take Paul to some of the Black nightclubs in the Houston area which led to crowd-charming and dancing the evening away. On occasion, Frank would get up and perform stand up comedy too, which he was rather good at. I had the pleasure of meeting Frank during one of these nights on the town when I came down to Texas to visit Paul. Through my brother, Frank’s life story was based on a script that I had originally put together. I transposed it to the book format with both eyes on the script and tried to put as much of Frank’s sentiment and dialogue into it as possible. And that’s how we have the book. DC: Why do you think Howard Hughes and Frank Mann got along so well? HB: It started in childhood when Frank took an affinity to mechanics. When Frank was 9, he actually set up a “mechanics shop” under an oak tree in his front yard. His parents didn’t like him being a grease monkey, they preferred him to work toward being an educator like them. Fast forward many years and one day, while he was repairing airplane engines, Howard Hughes noticed him and came up and said that he needed a repair done on the control stick to one of his planes. Frank said that he had some ideas that could help and was then invited to Howard Hughes’ father’s shop in the morning to take care of the issue. 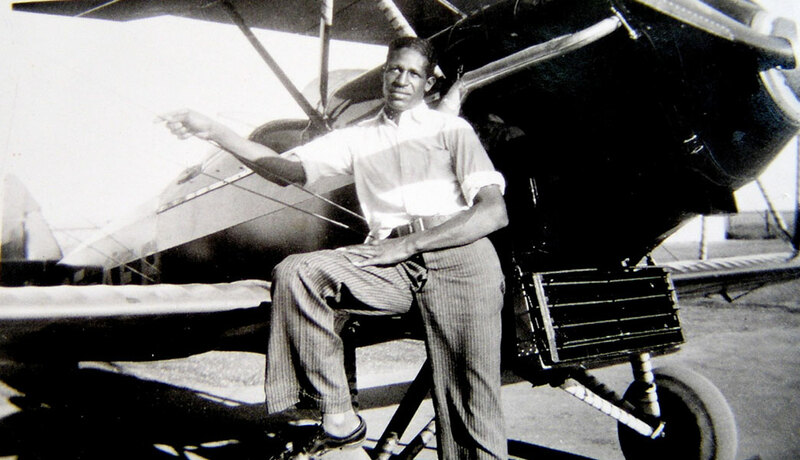 Upon a successful repair, Howard was so impressed that he financed the first airplane that Frank built in high school and he also helped put him through college. From that point on he became Howard’s main troubleshooter for his airplanes. DC: In Hidden Genius we read that White engineers didn’t want to work with Frank because he was Black. How did Frank handle this? HB: He ignored racism to some extent as Frank didn’t make much out of racial prejudice, mostly because I believe that he was such a unique person who didn’t want to dwell on the nastiness of it all. He knew that he was treated unevenly, yet he didn’t give it too much credit. Little did he know, it would be 2017 and America would still be dealing with these issues. 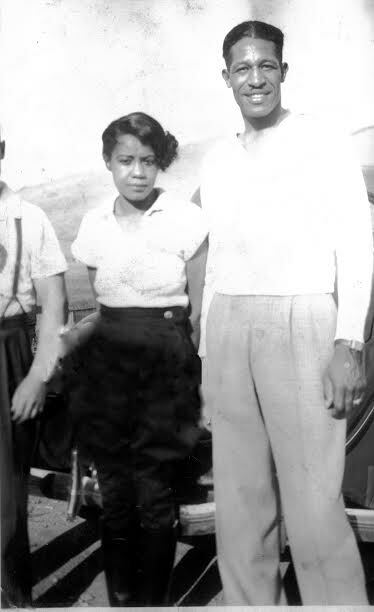 DC: Do you think that since Howard Hughes’ top engineer was Black, that society has tried to hide Frank from the public eye? HB: I know that the people that wrote the history books and those that were in control during those days authored the knowledge which we have today. If you read about the spruce goose, you see all these pictures of these White people and all of those other folks that grew up with Howard. I really believe that they simply didn’t want to pat a Black man on the back and say that he did it, that he was the real hero of this story. History has truly done a disservice by not giving Frank his fair share of the pie. And to think, what an amazing role model Frank Mann could be to this day if society knew of and appreciated him. 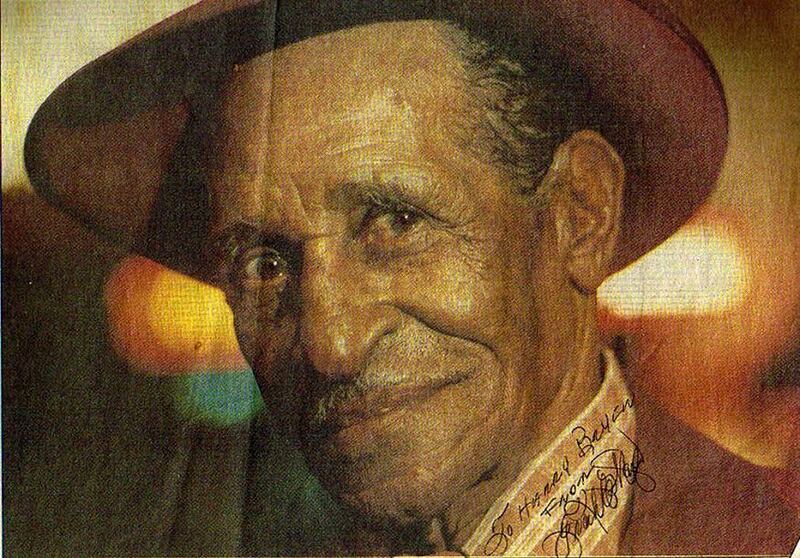 Please help to spread the word about Frank Mann, one of the greatest unsung heroes and role models in American history!